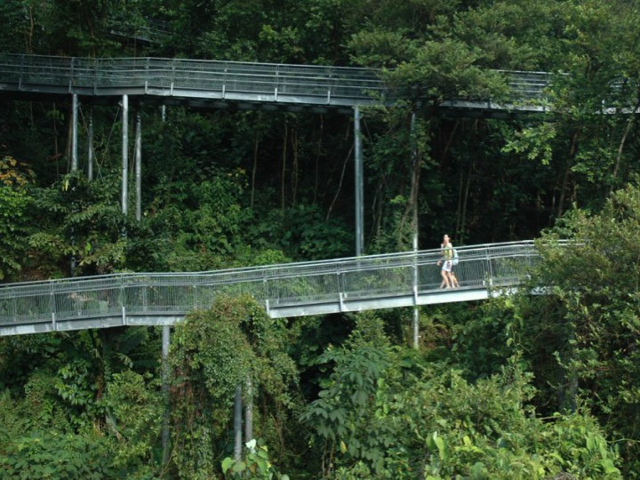 Innovative “park connectors” through the urban tree canopy have helped Singapore become “a city in a garden.” Photo courtesy of Biophilic Cities Project. We need nature even more these days. As more people live in cities, nature offers a potent remedy to many of the environmental, economic, and emotional challenges presented by urban living. To address this, a new approach to urbanism has arisen – a “biophilic” urbanism – based on the assumption that contact with nature and the natural world is absolutely essential to modern urban life. Central to this vision for future cities is the concept of “biophilia” – popularized by Harvard biologist and entomologist E.O. Wilson. He defines biophilia as “the innately emotional affiliation of human beings to other living organisms.” He argues that humans carry with us our “ancient brains,” so it is no wonder that we are happier, more relaxed, and more productive in the presence of nature. The evidence is mounting, that we are likely to be more resilient and more creative when we live and work in the presence of nature. Some studies even show we are more likely to exhibit generosity when nature is near. As we examine the presence of plant and animal life in cities, it is becoming increasingly clear that nature is not optional but essential. A biophilic city is a city which successfully integrates nature into the urban landscape, from trees and parks, to vertical gardens and green rooftops. A city can become more biophilic through something as tiny as San Francisco’s parklets, or as major as Wellington, New Zealand’s enormous network of parks and marine life. A biophilic city nurtures and celebrates its biodiversity and wildness, from birds to wildflowers to the invertebrate life that inhabits the city. Why do we need biophilic cities? Places like Mexico City – that invest in large green walls and rooftops gardens – reap the benefits of improved air quality and food security. Rio de Janeiro’s Tijuca forest – the world’s largest urban forest – has been essential is protecting the city’s water supply. In cities like Manila or Mumbai, protecting and restoring mangroves makes sense in terms of adaptation to storm surges and sea level rise. Making a city more biophilic will make it more resilient and sustainable. These green elements will help us to shade and cool urban environments, to conserve water and energy, and to produce at least some of the food our growing planet is going to need. Biophilic cities make our urban centers more resilient, and deliver emotional value for urban residents as well. Exposure to nature helps to make both cities and urban residents more resilient in the face of a host of likely pressures and shocks. My notion of a Biophilic city extends beyond the presence of nature to how residents engage with that nature – and how much we know and care about it. Urban biodiversity is necessary but not sufficient when creating a biophilic city. Biophilic cities need citizens who seek to enjoy, visit, and celebrate the nature found in the urban environment. There are now many creative ideas for nudging urbanites in these directions, from summer camping in urban parks, to free kayaking on city rivers, to school-based initiatives that cultivate a love of nature in children at an early age. The innovative School of Ants – a citizen-science driven study of urban ant species- has produced a terrific urban guide to ants, a kind of flow chart to help children with the complex task of identifying different species. Experiments like these are instrumental in encouraging a love for biodiversity from a young age. Our Biophilic Cities Project, based in the University of Virginia’s School of Architecture, has been underway for the past two years. With funding from the Washington DC-based Summit Foundation, and the Mitchell Foundation, we have been exploring the many creative ways in which cities integrate nature. By developing metrics for understanding urban nature, we can measure and document the many different ways cities provide connections to the natural world. Much of this work has focused on exploring what a biophilic city is, or could be. We ask – what does it look like and feel like? By assembling data and GIS layers for Biophilic cities around the globe, we attempt to understand how a city can protect and plan for nature in the urban landscape. How much and what kind of nature is needed in cities? What combination of these natural experiences will deliver the greatest health and psychological benefits? “What is the minimum daily requirement of nature?” we sometimes provocatively ask. And what urban tools, techniques and strategies will be most effective at ensuring this nature exists in our urban future? The next chapter in our work will involve expanding the community of planners, designers, public officials, and citizens interested in creating biophilic cities, as well as the geographical reach of the project. We will be convening our partner cities and launching this global biophilic cities network this coming October 17-20, at the University of Virginia. 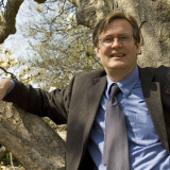 Dr. Timothy Beatley is an internationally recognized sustainable cities researcher and author. Much of Beatley’s work focuses on the creative strategies by which cities and towns can fundamentally reduce their ecological footprints, while at the same time becoming more livable and equitable places. His most recent book is Biophilic Cities: Integrating Nature into Urban Design and Planning, which argues that cities can and must be designed to permit daily contact with the natural world. Beatley is a Professor of Sustainable Communities, in the Department of Urban and Environmental Planning at the University of Virginia, where he has taught for the last twenty-five years. For more information about how you can encourage your city to become more biophilic, contact Tim Beatley at beatley@virginia.edu.